Anytime during a zombie outbreak when someone offers you a helping hand, you might want to think twice. The helping hand they offer might just wind up being a Severed Biohazard Zombie Hand, and a hand like this is no help at all. 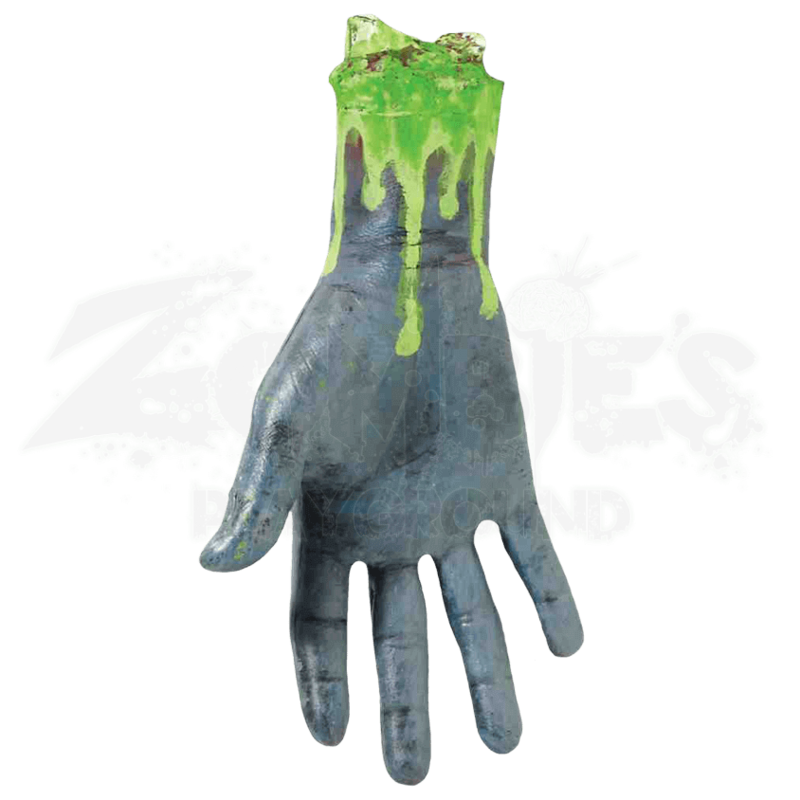 At first glance, you could almost mistake this for a traditional zombie hand, but a second look will banish that notion entirely. First and foremost, this hand is blue, featuring a pallor not common even among the undead. Second, the wound gushes toxic green ooze and sludge that says much about this hands state of contamination. Of course, only the living will worry about things like toxic waste. 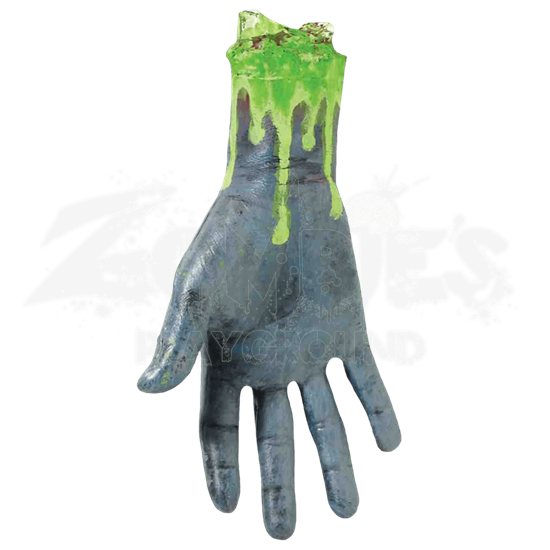 The undead have no such concerns, and so a zombie would gladly accept this Severed Biohazard Zombie Hand, either to carry and munch on or to use as a small sort of weapon later.